What Wedding outfits will be good for winter wedding? Many people love to have their wedding in winter season even though it is not popular for wedding ceremony. This is mainly because many couples prefer cool atmospheric temperature than warm wedding during summer season. Doing wedding in winter season have some advantages, if you are a natural lover then the wedding can be organized in outdoor locations with different colorful natural decorative. A real confusion arises there how to choose winter wedding outfit which matches the proper dressing style of wedding. Generally men should wear black tie where women should wear white evening gown with floor length in traditional way of wedding. If wedding is formal then the rules are somewhat relaxed men can wear black tie and women can wear gowns but length can be adjusted. It is not necessary to wear floor length gown if length is below knee it is good that too if it is semi formal wedding then women allowed to wear any dress which would not distract them from bride. 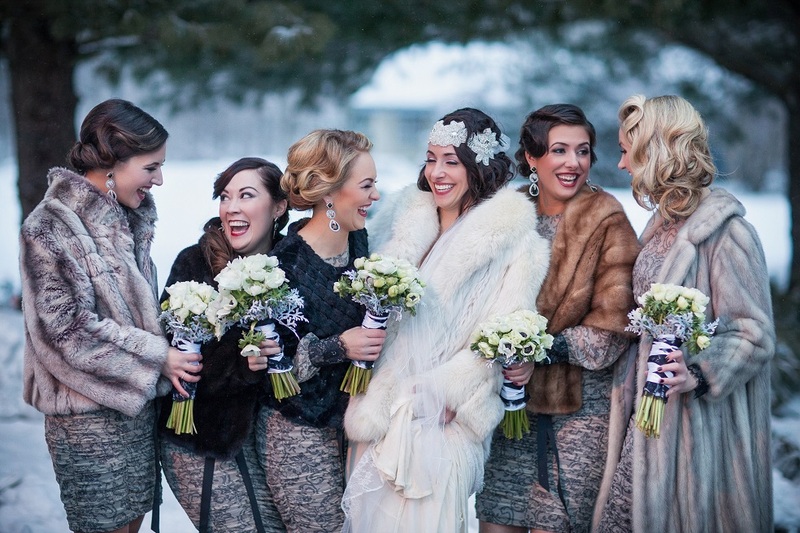 The dressing for winter wedding can change based on the location of the wedding. Since dressing type will change based on the place where the wedding is going to be held. If it in church then you have to be more conscience in maintain traditional way. If you are wearing a gown with strapless then ensure that you are covered with sanctuary in order to respect wedding party, both bride and groom family and church members. In church wedding dressing for winter wedding should not be short the wedding gown should be of floor length. If the wedding event is held in outdoor location, then there are no rules but you have to make sure that you are wearing tights or stockings to prevent you from cold. In outdoor wedding you can wear long length gowns but you need to make sure that the skirt is not flowing one. If it does then there is a chance for wind to pick your dress. So it better to choose heavy fabrics clothes like silk satin. Make sure to avoid strapless or sleeveless winter wedding apparel because a small gap of sleeve can make you feel cold. So it is better to choose no sleeve wedding outfits to keep you warmer in outdoor. Another thing you need to concentrate is on your shoes if the wedding event is in outdoor you need to wear shoes to cover up your toes if not the ground chillness will make you chill more. It is better to wear shoes with chunky heel which will helps you to avoid exposing your feet to get freeze. All the above said are regarding your winter wedding outfits, so you can make your choice of outfit based on your wish. Apart from wedding outfit you need to concentrate on jewelling accessories too. Mostly, the winter wedding outerwear would be a good choice and in other choice you can choose pale colored outfits along with soft pair of gloves matches to your wedding dress is a perfect choice.